Mediate.com is now in its 15th year. 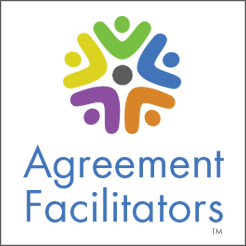 Our continuing goal is to expand the use of mediation. We are a bridge between mediators and those who benefit from our services. Mediate.com offers mediators and the public over 5,000 articles and resources all free of charge. These articles are posted chronologically on the Mediate.com home page. Articles are also grouped into approximately 25 featured sections and can also be effectively searched. Mediate.com has identified approximately a dozen of the most capable negotiation, mediation and dispute resolution blogs. We systematically republish the week's best blog postings. Mediation Today chronicles the ongoing and increasing use of mediation throughout the U.S. and the world. 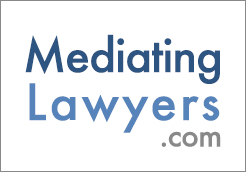 There is simply no better source for all relevant and interesting mediation news. Mediation Today can also now be topically searched. Mediate.com Content Search searches all Mediate.com content, including articles, news, blog postings and video. Searches can be done by author/person, topic or text, or any combination. The Mediate.com Video Center includes nearly 100 hour-long interviews with leading mediators (hosted by Robert Benjamin) as well as a variety of additional video presentations. Once at the Video Center, be sure to check out the "Inside" and "Search Tabs." Mediate.com has offered Mediation News since 1997. Over the past couple of years, Keith Seat, our News Editor, has taken Mediation News to a whole new level. Mediate.com also now features the most active Job Board in our field. These content sections and our Career Center are available to Mediate.com Premium Members only. With over 13,000 daily visitors to Mediate.com averaging 20 minutes (see Mediate.com stats), The Mediate.com Directory is the “go to” mediator directory on the Internet. Directory listings are available with Mediate.com Membership. Mediate.com's Certification Program is based upon the following concepts: 1) Mediate.com first ensures that our Certified Mediators are trained and experienced; 2) We next insist upon complete information disclosure; 3) We require the highest ethical standards and that references are available; and; 4) We investigate complaints made against Mediate.com Certified Mediators. Mediate.com Certification confirms your reputation as a leading mediator. Mediate.com's Dynamic Web Site Package includes Mediate.com Premium Membership and a fully scalable web site at Mediate.com or at your own domain. Everything is included, importantly training and ongoing tech support, at one set price. You will not find a better web site system. Assuming that you have a quality web site in place, the best way to drive local (the right) traffic to your web site is with featured Mediate.com visibility. Mediate.com's Featured Mediator Program lists a limited number of mediators at the top of every page of Mediate.com for all visitors from each area code. See All Mediate.com Featured Mediators. Mediate.com State Banners appear on ever page of Mediate.com for every visitor from your state. The Mediate.com MarketPlace offers both free and featured placements for all mediation industry services and products, other than mediation services themselves which are offered in the Mediate.com Directory. The Mediate.com Calendar also offers both free and featured placements for all mediation events. Mediate.com offers free Organizational Listings to all non-profit mediation membership organizations. Mediate.com now offers “Mediation News for the 21st Century,” edited by Keith Seat, as a "top of the mind" marketing newsletter for civil and commercial mediators.